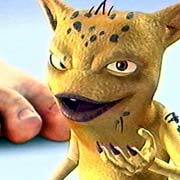 The word “germ” brings to my mind a mental image of the bacteria/slugs on the toenail fungus commercials. You know the one where they lift up the yellow, crackling toenail, jump inside, and join their other slimy friends for a germ party. Gross! The words germs, bacteria, and bugs have become synonymous with “yucky”, however, not all bugs deserve this bad rap! In fact, going on a germ-killing mission, using products that claim to eliminate “99.9% of germs” may disable your immune system from reaching its full potential. Today’s fast-paced lifestyle keeps the entire family active, from 3 year-old kids who already know how to operate iPads, to hard-working adults. A strong immune system is absolutely necessary in order to fight off seasonal illnesses and maintain healthy energy levels. Typically, when you start to feel “run-down,” that is your immune system trying to tell you to take it easy. A major factor in the strength of your immune response starts in the digestive tract, where about 80% of the body’s immune cells reside. I always thought my immune system was in my lymph nodes since that is usually where I fell the first signs of getting sick. But, long before your immune system triggers a response in the lymph nodes, it is either being built up or destroyed in your gut. You support your crucial immune cells in the digestive system by consuming…bacteria! Not the toenail fungus, germy bacteria, but Probiotics, which are beneficial bacteria. According to pharmacist, author, and holistic health expert Ross Pelton, a study indicated that people who ingested probiotics for three weeks were shown to have immune cells that were twice as effective as those who did not. The friendly bacteria help support the function of immune system cells by, among other things, crowding out unfriendly guests like bad bacteria. Probiotics also enhance digestion, which means the body better absorbs all the nutrients it needs from food and supplements. That alone equips the body to stay healthy and more efficiently fight off any bad bugs (call forth the slimy,green, toenail-bug mental picture) that come along. “Due to overuse of antibiotics, stress, and other modern environmental and dietary issues, most people of all ages have a compromised probiotic population,” according to Dr. Fred Pescatore, author of the best seller Feed Your Kids Well. To maintain ideal health, the ratio of good to bad bacteria needs to stay at 85 to 15. However, this ratio is almost impossible to maintain without supplementing with a high-quality probiotic. Dr. Pescatore encourages his patients to look for a supplement that encapsulates both the probiotic and its nutritious culture medium, or its food, called the prebiotic. In other words, the good bugs need bugs! “A probiotic alone will not necessarily be successful. 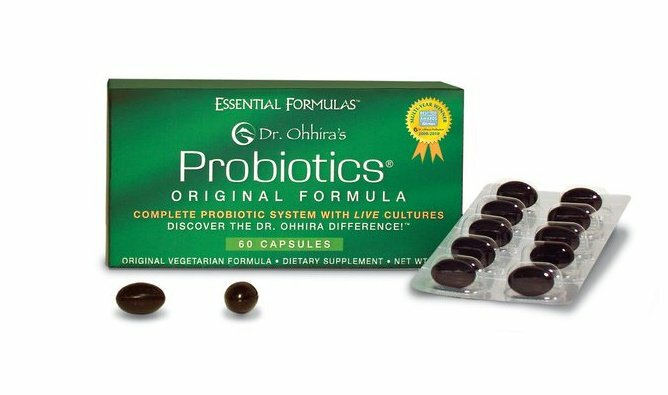 The friendly bacteria need what is called prebiotic support,” explained Dr. Pescatore, who noted that Dr. Ohhira’s Probiotics, fit the bill. The probiotic formula is encapsulated with its culture medium, which provides the body with vitamins, minerals, amino acids, enzymes, and pH-balancing organic acids. “This prebiotic support ensures that the probiotics take root and thrive in the digestive tract,” said Dr. Pescatore. When relying on probiotics to help support immune response, it is vital to pick the right supplement. There are products that claim to contain “billions and billions” of bacteria, but, contrary to what many people believe, this is not necessarily a good thing. Providing too much of a single bacteria strain, can actually trigger an immune response that causes the body to treat the supplemented bacteria as a threat. Consumers should also look out for probiotic products that may have undergone manufacturing processes or shipping conditions that render them useless. As healthy micro-ecology is restored, digestion improves and all the body’s organs and cells are able to receive nutrition more efficiently. That can have an incredible effect on whole health and energy helping the entire family to manage their demanding lifestyles.